River Sandis used with cement, and sometimes lime, to make mortar for masonry work and plaster. Sand is also used as a part of the concrete mix. River sand is found in river streams and banks and is fine in quality unlike pit sand. This type of sand has rounded grains generally white-grey in colour. River sand is used for brick-work and plastering during construction. 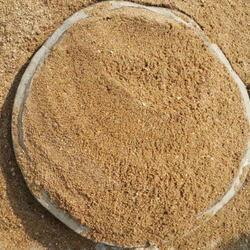 We are offering SAND which is using for building construction at reasonable offer in Andhra Pradesh. 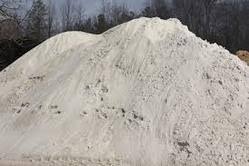 Owing to the dexterous professionals, we have been able to provide the customers with an excellent assortment of Screened River Sand. Widely used in diverse construction applications, our range helps in reducing shrinkage cracks and is thoroughly cleaned and screened. Supply all over Telangana State. Artificial sand is one of the best substitutes for river sand. It is also sharper and cleaner compared to natural sand. The high efficiency sand washer used by us washes away all the impurities out of the artificial sand making it a top class product. This sand is used for construction and other purposes. We are the most fastest est supplier of pure River sand for your any type of buildings and apartments Or eny type of construction.